Posted by Erik Asarian on Saturday, December 29th, 2012 at 12:42pm. Sorry, foreclosure fans. This game is just getting harder and harder! For the third straight quarter, the percentage of distress sales in the Park CIty marketplace dropped again. 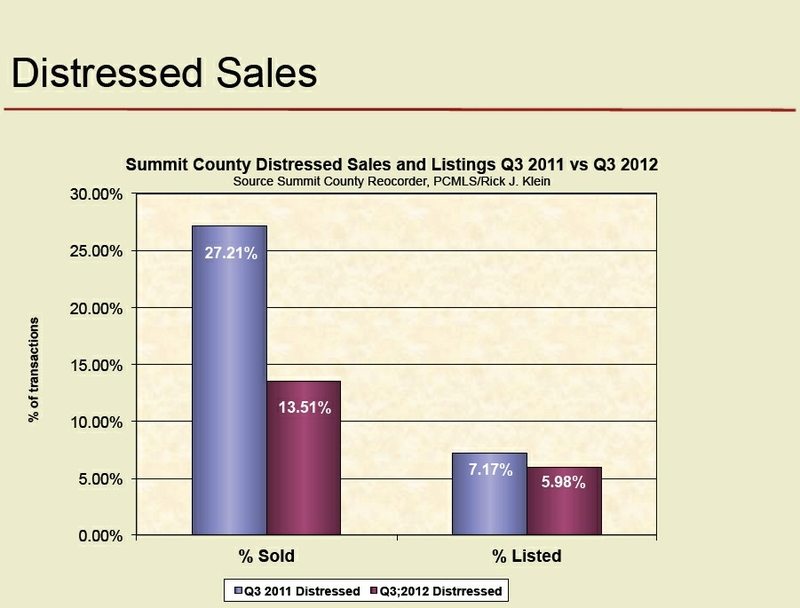 Down from a high of over 33% of sales being distressed, in the third quarter of 2012, only 13.81% of sales were distressed. Our friend Rick Klein at Wells Fargo Mortgage in Park City performs an extensive analysis of the Park City distress sale market each quarter. You can download his most recent research masterpiece here!